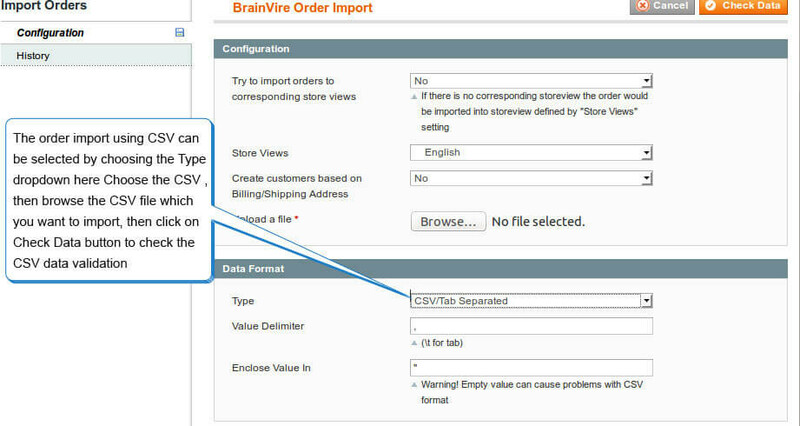 Order Import Extension for Magento enables users to transfer orders to another ecommerce store in one go during migration. 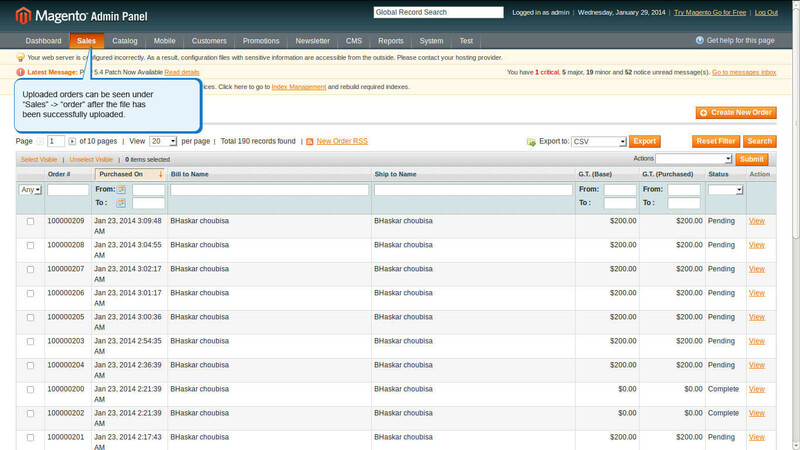 A busy ecommerce store sees a bulk of orders on a daily basis. It's a challenge to process each order when migrating to another ecommerce store! A busy ecommerce store sees a bulk of orders on a daily basis. It's a challenge to process each order when migrating to another ecommerce store! It's a daunting task and requires a lot of effort and time. 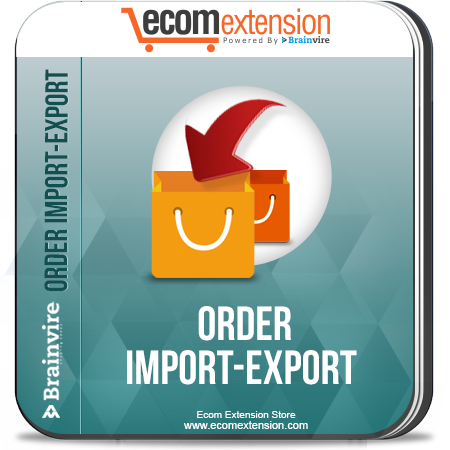 Our OrderImport Extension for Magento provides you with an easy way out. 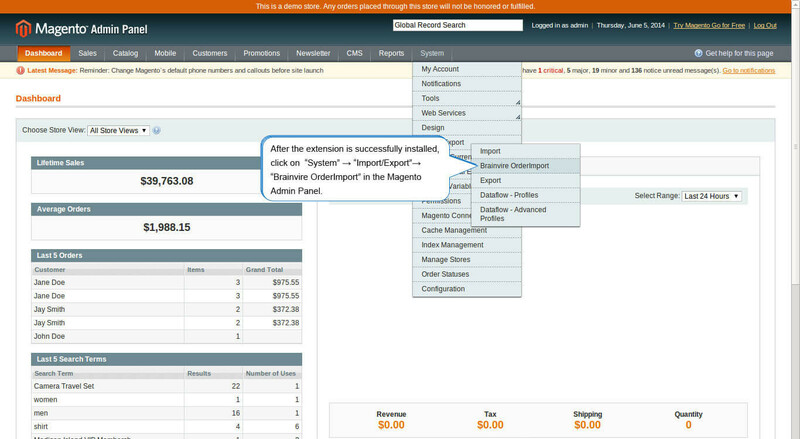 It's a simple extension that seamlessly integrates to your store and helps you import orders from other Magento installations within a few clicks. 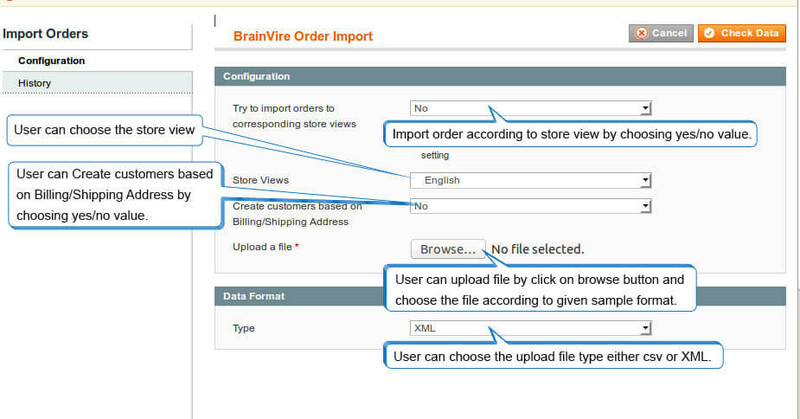 It allows you to create a file, upload it and import orders in one go! This Extension Support only simple product, simple product with custom option and configurable products. Enable and disable module, change log file name through system config. Generate a log file for sku not found with order number. 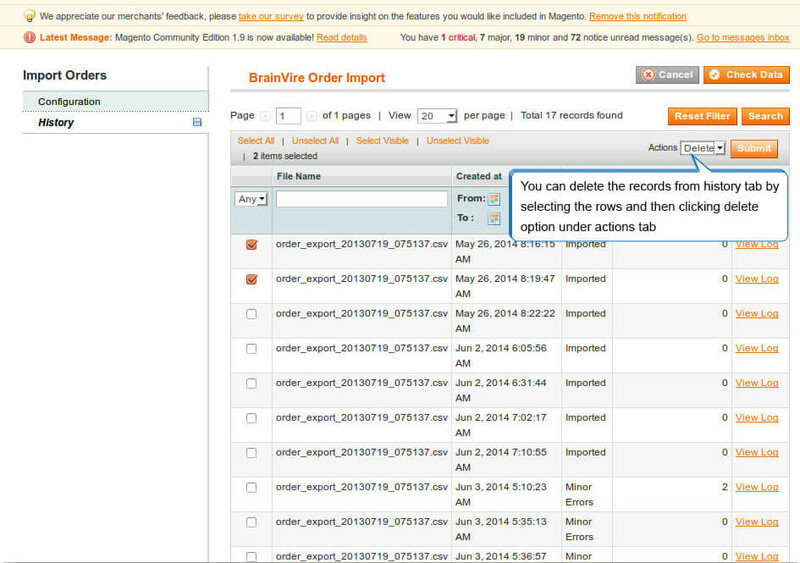 Simplifies the task of importing orders when migrating to another Magento installation. 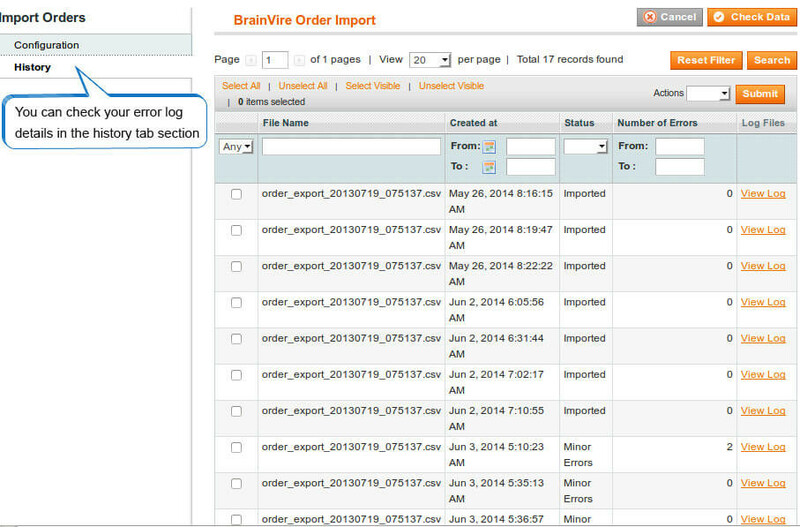 Automates the import process and reduces manual efforts. Supports CSV file formats. Is 100% open source and meets all the Magento programming guidelines. Admin can Enable/Disable this module from backend. 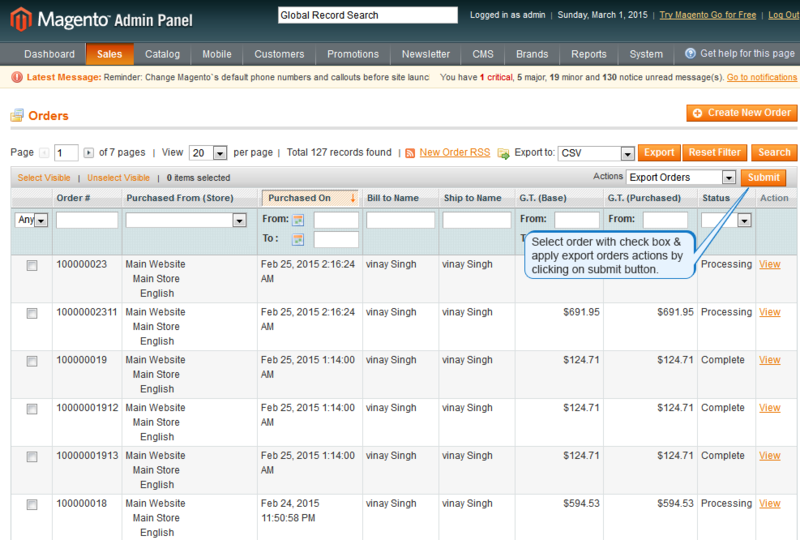 Admin can export the selected orders with check box and apply export orders actions by clicking on submit button. When an error occurs, the row is skipped and the process continues. It does not stop the process the errors can later be checked in the logs. Providing an excellent way to import orders, our ecommerce Order Import Extension is meant to provide store owners peace of mind while moving data between stores.